A Showtime Championship Boxing "Royal Battle." 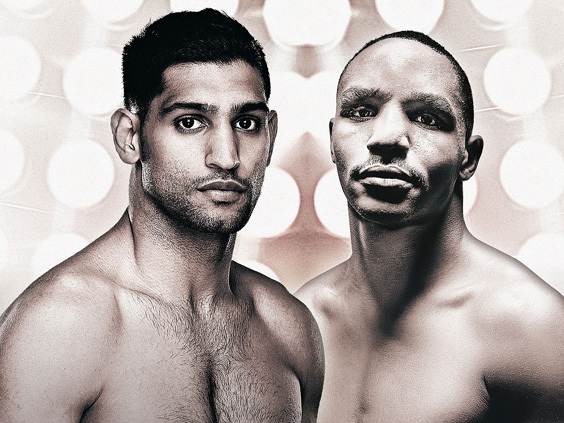 In a pair of high-stakes welterweight bouts, British superstar Amir "King" Khan (29-3, 19 KOs) takes on two-division champ Devon Alexander "The Great" (26-2, 14 KOs), while Keith "One Time" Thurman (23-0, 21 KOs) defends his interim title against Italy's Leonard "The Lion" Bundu (31-0-2, 11 KOs). Live from the MGM Grand Garden Arena in Las Vegas.